If you’ve given in to the Google machine, it can handle your emails, calendars, contacts, cloud storage, and so much more. If you keep your contacts in Gmail up to date How to Find and Merge Duplicate Contacts in Google How to Find and Merge Duplicate Contacts in Google Google can't help you know if your contact details are current, but it can help you identify and either merge or remove duplicate entries. Read More , you can easily sync with your phone or tablet contacts How Easy Is It To Sync Google Mail, Contacts & Calendar To Your iPad? How Easy Is It To Sync Google Mail, Contacts & Calendar To Your iPad? You can use Apple's iCloud for email and contacts on your iPad, but there's a good chance you already use Gmail and Google Calendar. Read More . But how do you add or delete contacts in Gmail? Go to contacts.google.com. This can also be reached from Gmail by clicking the dropdown menu directly under the Google logo that says Gmail, and selecting Contacts. Click the plus button in the bottom right corner of the page. Enter the name and relevant contact information you have and click Save. Open the email message and click the arrow button next to the reply button. 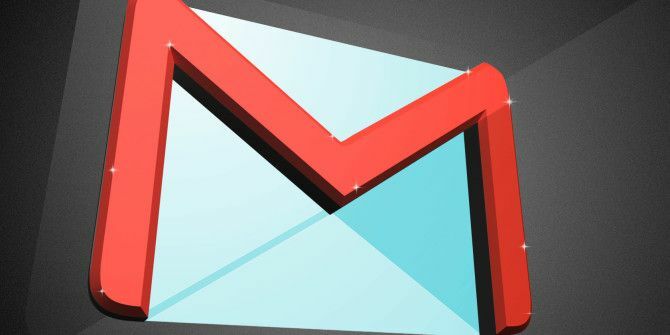 If you’re switching from another mail platform to Gmail, you’ll probably want to import your contacts A Quick Guide to Importing & Exporting Email Contacts A Quick Guide to Importing & Exporting Email Contacts Would losing your email contacts be a nightmare? Better back them up! We'll show you how for Outlook, Gmail, and Thunderbird. The contacts backup process should be similar for other clients. Read More in one go. Google offers step-by-step instructions if you want to import contacts from Yahoo Mail, Outlook.com, AOL, and other email providers. In the left sidebar click More to reveal additional menu items. Click Import > CSV or vCard file. In the pop-up window indicating that this preview version of Google Contacts doesn’t support imports, click Go to the old Google Contacts. A new window will open with the legacy version of Google Contacts and you will need to again click Import contacts in the sidebar. In the popup window that appears, click Choose file and navigate to where your CSV file is saved. Once the import is complete, go back to the newer version of Google Contacts and refresh it to view your newly imported contacts. If you search for the contact’s name using the search function, their contact card will open up. You can also scroll to the person’s name in the list. In either case, click the menu (three dots) button and click More actions. Alternatively, if you want to hang on to their contact information but don’t want them to appear in your contact list, click Hide from contacts. Their contact information will still be searchable in Google contacts, but won’t be listed on your computer or on your phone. The Gmail mobile app does not make it possible to add or remove contacts from your account. Do you depend on Google to manage your contacts? If not, what’s your preferred way to keep track of your many contacts? Let us know in the comments. Explore more about: Contact Management, Gmail. Which plugin are you using for some other post linking in this article? It's not a plugin, just some custom code I wrote. Can you please provide me the code, I can also want implement in my blog.